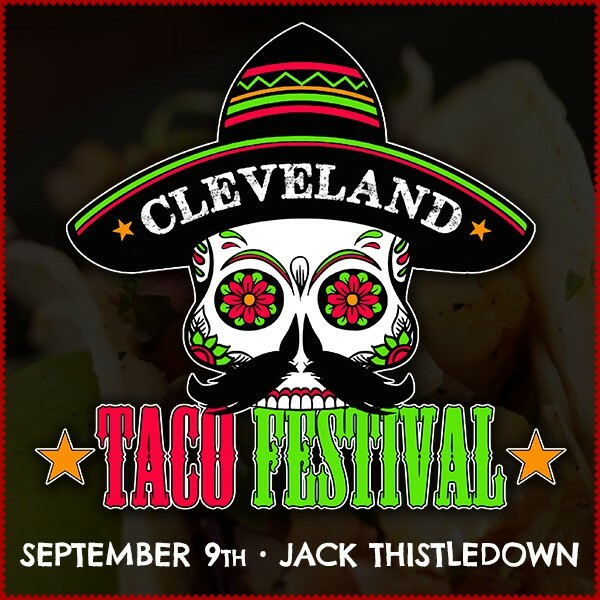 Cleveland's 1st Annual Taco Festival is taking place at The Jack Thistledown Racino on Saturday September 9th! - Free Parking & much more! At the event, you’ll find over 30 of the area's best restaurants & food purveyors dishing out a variety of $3 tacos (sold separately). There will be bars and beverage stations serving margaritas, tequila flights, ice cold beer, water, soda & more. All items will work on a voucher system – there will be various voucher stations throughout the festival & all vouchers will be used as cash. Additional vendors will be on hand to sell other food (cotton candy, cakes, desserts etc) as well. Multiple ATMs will be on site & strongly encourage cash sales at voucher stations. - Have a restaurant, food truck or sponsor inquiry? Contact us by email by clicking "contact the organizer" at the top of this page or by phone at (216) 800-8610. *All tickets purchased for The Cleveland Taco Festival by phone or online are final. We Do Not issue refunds or exchanges & this is a Rain or Shine indoor/outdoor event. View More Events Organized by Cleveland Taco Fest. Welcome to Taco Heaven at the Cleveland Taco Fest! This event is organized by Cleveland Taco Fest.